Product Information: These chips are the classic kettle-cooked the old-fashioned way for a hearty crunch and lightly seasoned with sea salt for a traditional chip taste. Product Information: These kettle-cooked chips are seasoned with traditional sea salt and then with some fresh cracked pepper to add a little spice to your crunch. Product Information: These crunchy chips offer a unique blend of sweet and smoky taste that is the perfect barbecue flavor. Product Information: Sweet potato chips are not readily available in Canadian stores. These flavorful vegetables are cooked to perfection and seasoned with sea salt for that perfect combination of salty & sweet. Product Information: These chips add a crunch a creamy taste to the typical dill pickle flavor that turns this old favorite into a new experience. 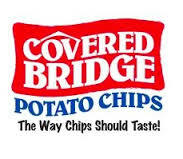 Product Information: This chip is the epitome of tradition, as it was one of the first flavors of chips ever made. It is the perfect blend of salty and sour to make your taste buds smile. Product Information: These chips are the classic kettle-cooked the old-fashioned way for a hearty crunch and lightly seasoned with a ketchup seasoning that puts a new twist on the Canadian tradition.